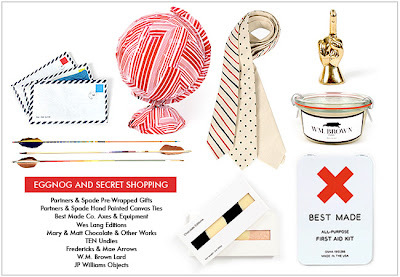 THE CREW AT PARTNERS AND SPADE HAVE ASK ME TO PULL SOME THINGS TOGETHER FOR THE HOLIDAYS. SO COME CHECK OUT A PARTNERS AND SPADE EDIT OF WM. BROWN, INCLUDING JARRED LARD FROM THIS YEARS SWINE. SUNDAY DECEMBER 19TH FROM 12-6PM 40 GREAT JONES ST. I'LL BE THERE.